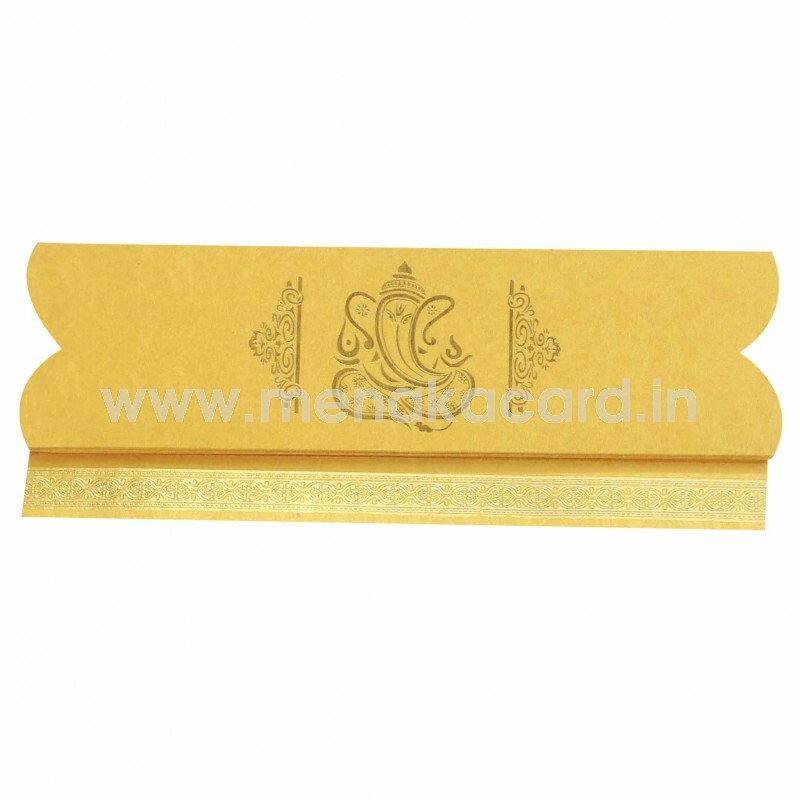 This comely Gold single card and envelope is made from a wave textured handmade board. The main card is a single sheet folded in an accordion fold that has a rich gold foil filigree zari border at the bottom of the card with the content printed in the matching rich maroon text. 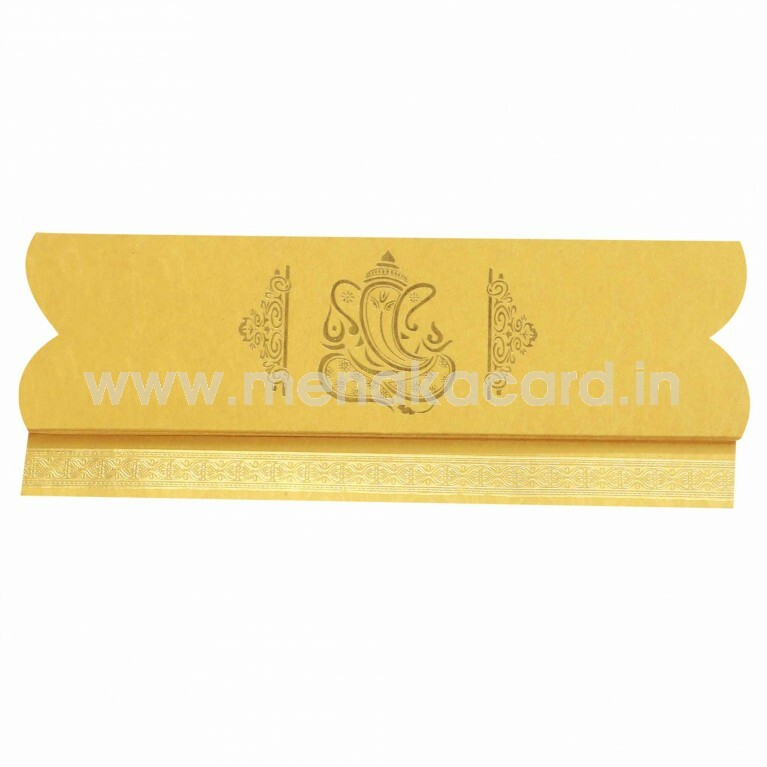 The main face of the card on removing it from the envelope has a contemporary Ganesha logo braced by ornate filigree on either side is printed in rich gold foil. 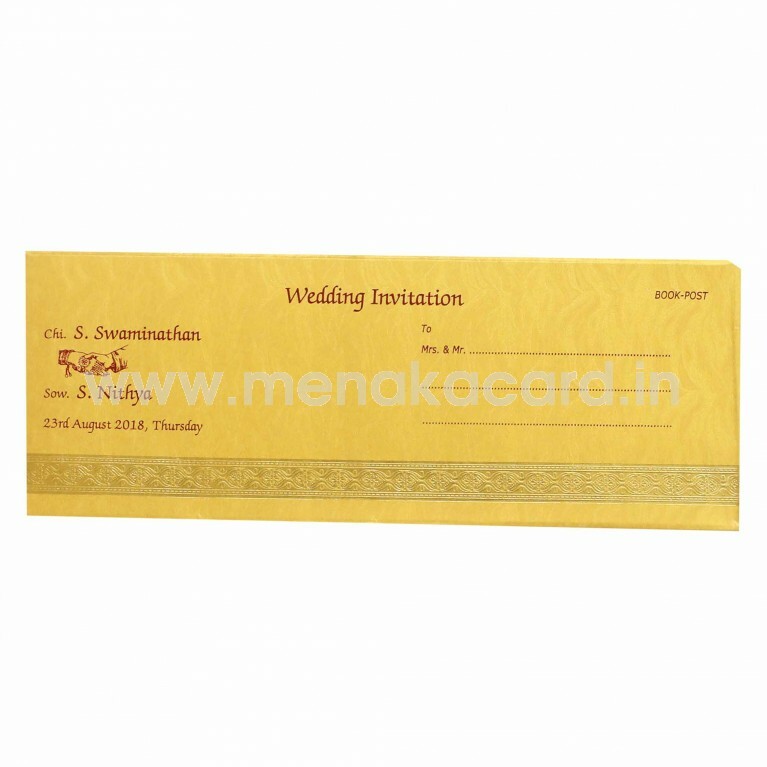 The envelope matches the card in text colour, material and foil work. 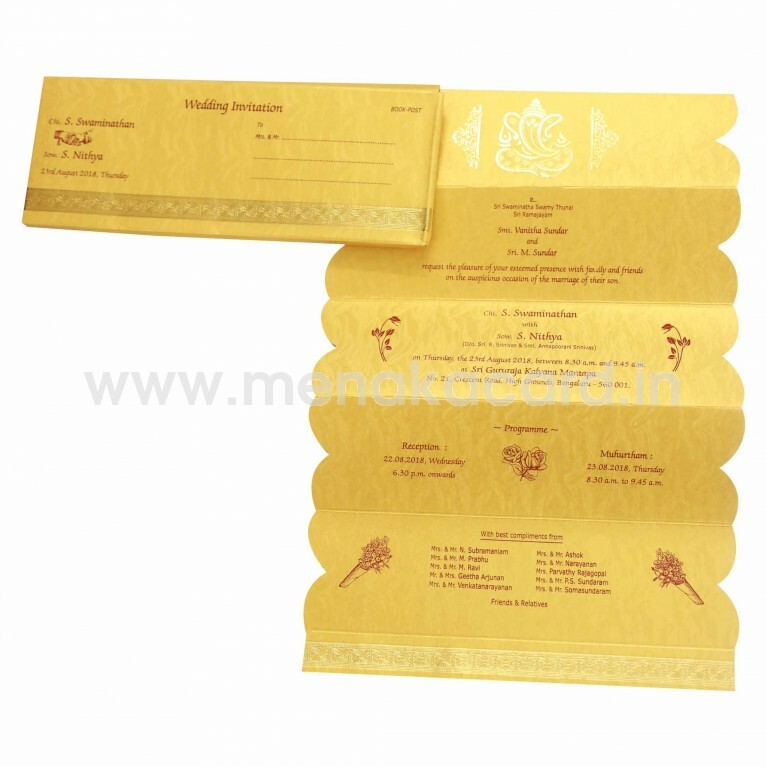 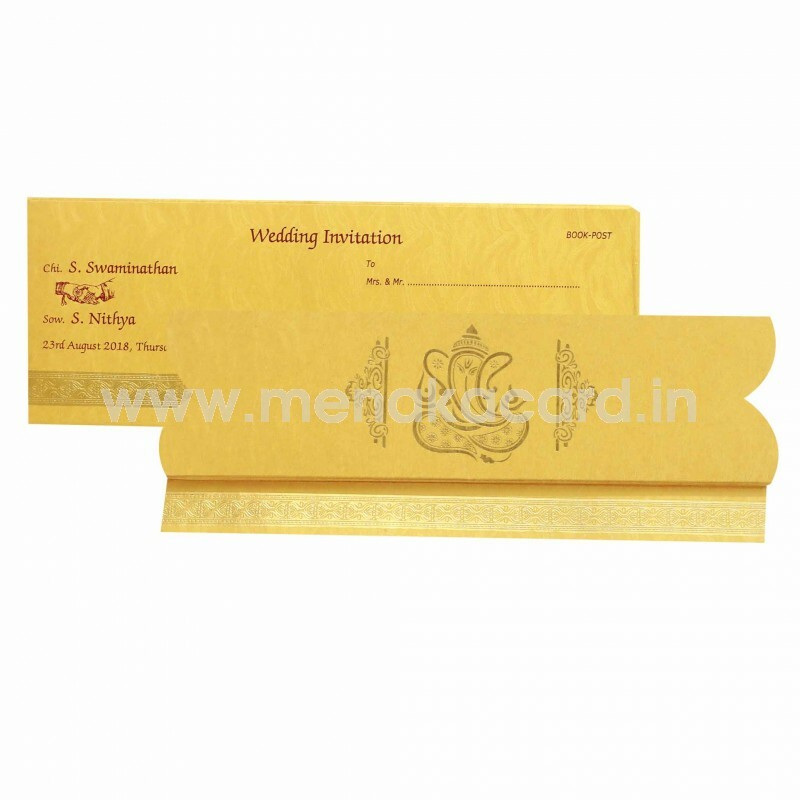 This can be used for Hindu weddings and other functions like Grahapraveshams, Receptions, engagements and personal invitations to friends and colleagues.